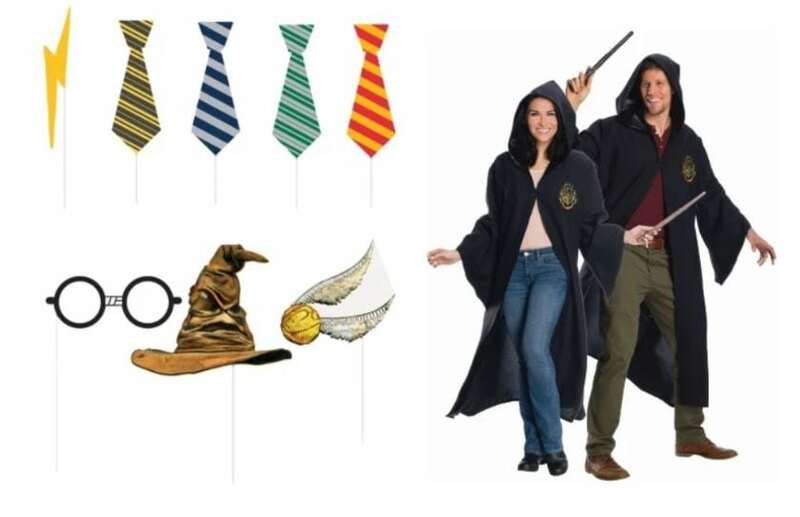 They've got everything from bedding to costumes and even a Triwizard Cup! Calling all Potterheads! 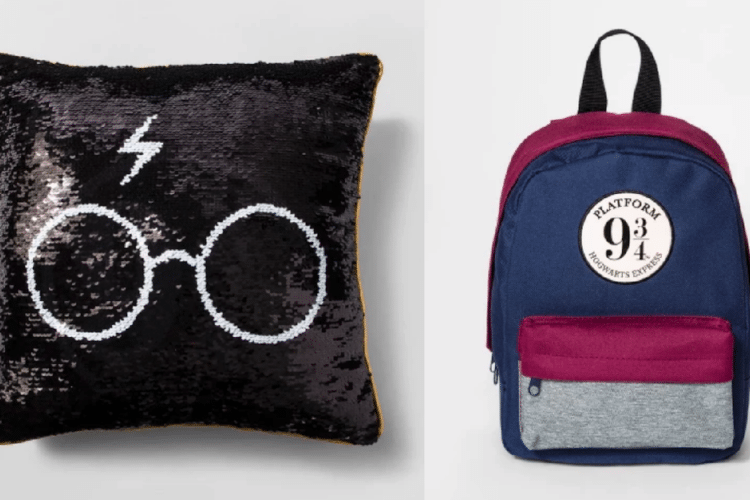 Hold on to your butterbeer, friends, because if you’re looking to collect some more Harry Potter merchandise, Target is now the place to go. As if you needed another reason to love Target, the store surprisingly has an insane amount of Potter merchandise you may not have known about. We’re talking more than 500 amazing items to add to your collection — everything from candy to socks and even sheets for your bed. In true Target fashion, everything is pretty affordable, too, with some items as low as $2. Even the most die-hard fans can’t possibly have everything Target has to offer. 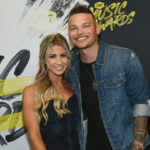 The items are all for sale online, or you can head to your local Target to see what is in stock there. You can also search by Hogwarts house, purchasing only items for fans of Gryffindor, Hufflepuff, Ravenclaw or Slytherin. Take a look at some of the merchandise any muggle can snag on a quick Target run! There’s no harm getting started early when it comes to making your kid a Harry Potter fan! 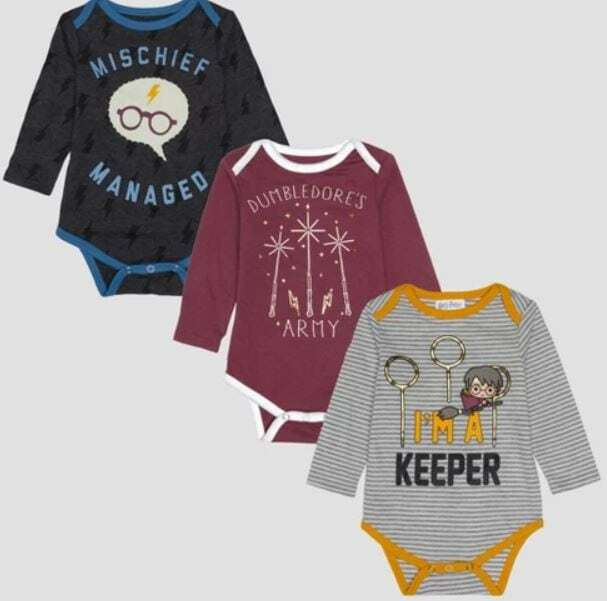 This adorable three-pack of long-sleeve bodysuits is just $14.99 and includes the phrases: “Mischief Managed,” “Dumbledore’s Army” and “I’m a Keeper,” with an image of Harry Potter and quidditch hoops. The site labels these as being for boys but, personally, I think any little wizard or witch would look great in them. 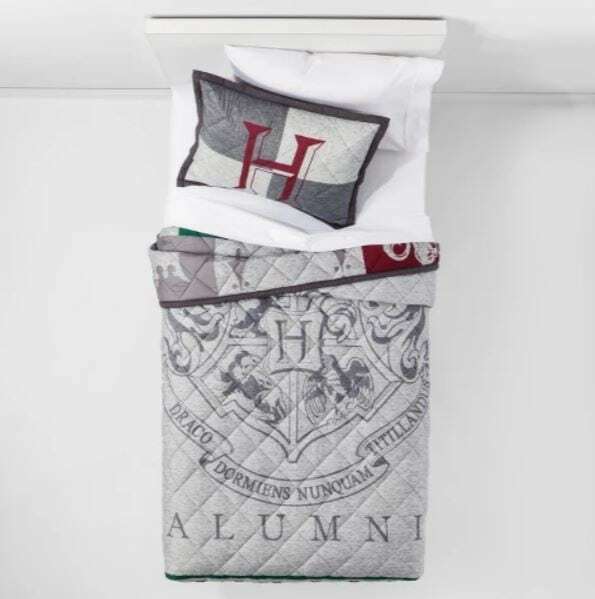 This Harry Potter quilt set is only $39.99 for a twin size or $49.99 for full/queen. You’ll get a quilt and two shams in the set, but for $21-$34 more, you can also pick up some matching sheets. Add a throw pillow of Harry of Harry or Hedwig, Harry’s pet owl, for $19.99 each and you have an adorable bed set! 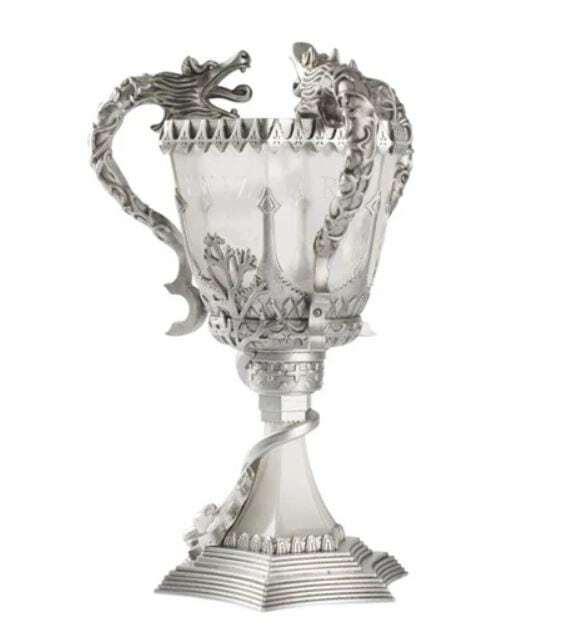 File this one under “Things You Never Thought You’d Find At Target!” This incredibly detailed lamp is in the shape of the Triwizard Cup, the award for winning the Triwizard Tournament from “Harry Potter and the Goblet of Fire.” The lamp is cordless and runs on batteries, so you can display it in a trophy cabinet just like it was the real thing! You don’t have to defeat any dragons, you can just pay $24.99. 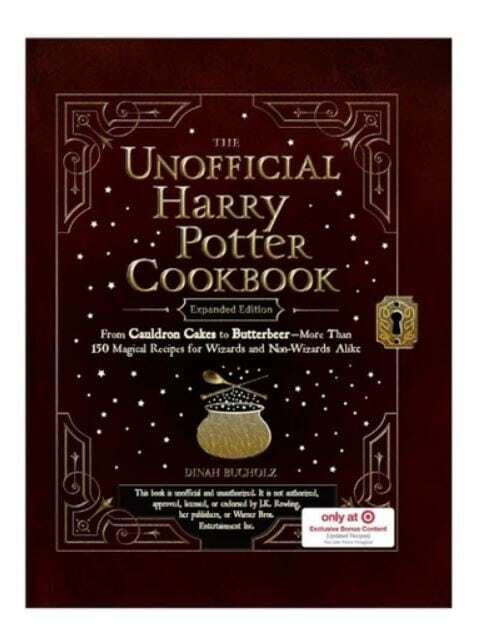 Only available at Target, you’ll find this Harry Potter-inspired cookbook for just $15.96. There are limited quantities available, so you’ll need to act fast if you’re wanting to make bangers and mash, a proper cuppa tea and rock cakes or some Cauldron cakes and pumpkin juice. 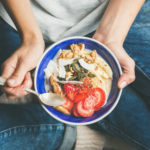 You’ll find 150 easy-to-make recipes, along with tips and techniques, so you can indulge in meals straight from the land of Hogwarts. 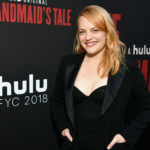 Included are: the treacle tart (Harry’s favorite dessert), Molly’s meat pies, Kreacher’s french onion soup and pumpkin pasties. From Jelly Slugs and Bertie Bott’s Every Flavour Beans to plates, napkins, tablecloths, a 7-piece decoration kit and an amazing photo prop kit, you can throw a Harry Potter-themed party just by heading to Target! 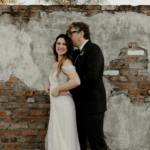 You can even find costumes so you can look the part, too. All the items (not including the costumes) are under $5! Pardon me while I go on a Target run.